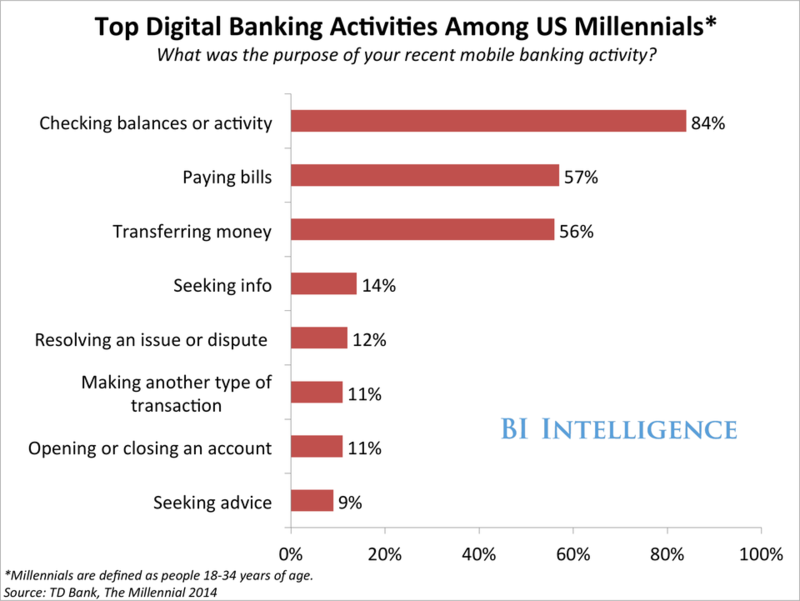 Capturing the attention of younger adults — and, in particular, millennials — when they’re first choosing their bank can lead to a long-term market advantage. BI Intelligence been closely tracking evolving trends in the payments industry, and how mobile is one of the biggest disruptive threats to legacy businesses, including merchant service providers, payment terminal providers, big financial institutions, and credit and debit card companies. Businesses are evolving their services and acquiring startup competitors to stay ahead of the curve. For full access to our findings sign up for a free trial. More adults — of all ages — prefer paying bills online over using any other channel for performing that activity, according to a survey from Nielsen. 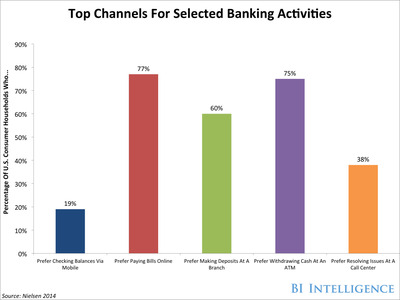 Among millennials, checking balances, paying bills, and transferring money, were the top digital banking activities, TD Bank finds. 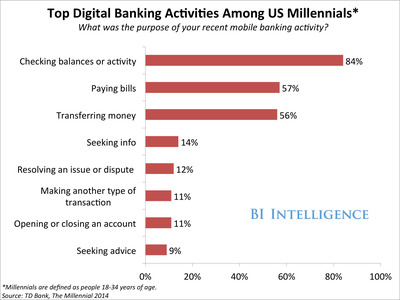 More than half of millennials are already transferring money via digital channels. over 13.1 million mobile banking customers. 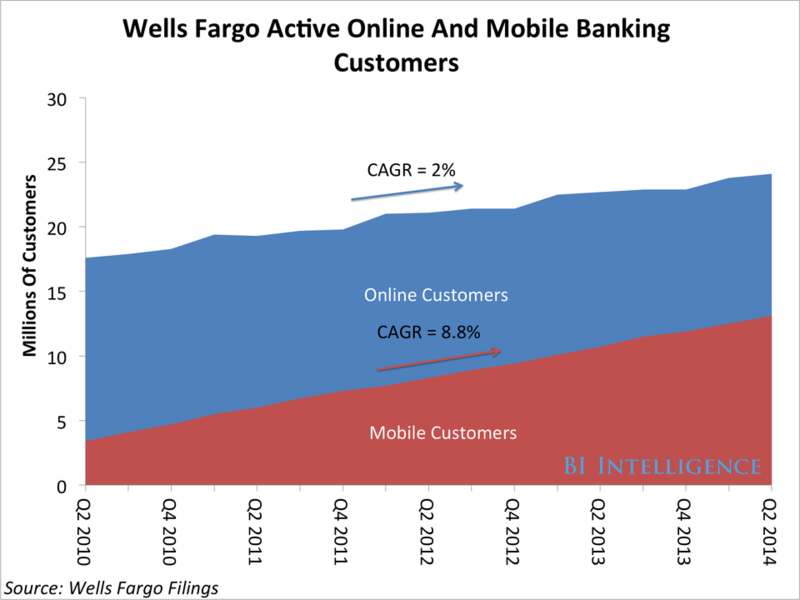 That’s up 285% from 3.4 million four years ago in the second quarter of 2010. 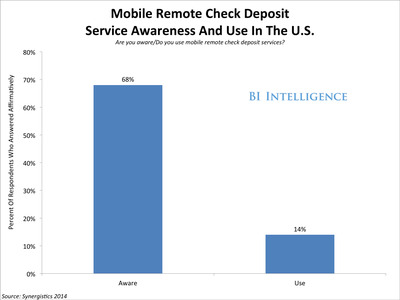 That’s why banks are putting a lot of money into building out their mobile banking capabilities. 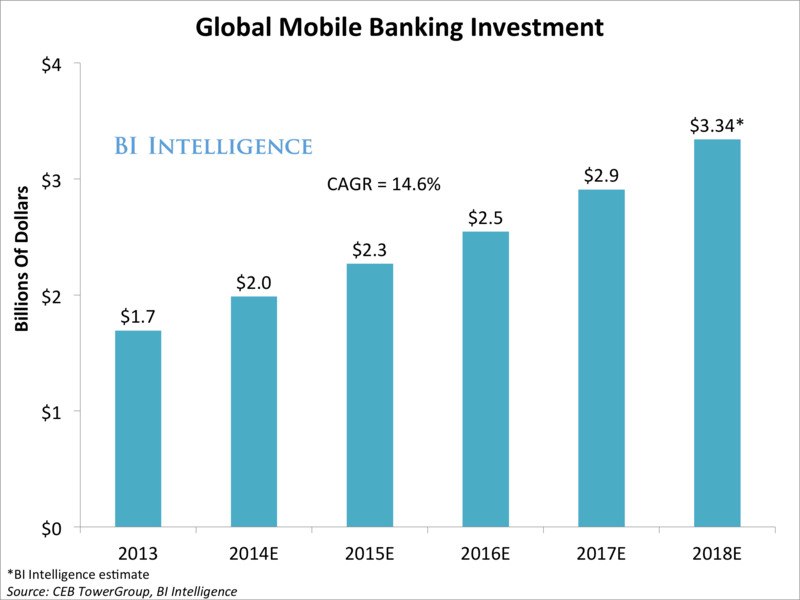 BI Intelligence estimates that global mobile banking investment will grow at a compound annual growth rate of 15% through 2018, when investment will reach $US3.34 billion. 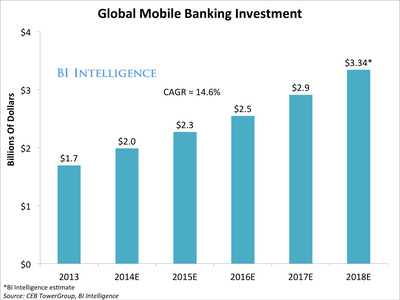 Take a look at the chart at below for a look at how investment in mobile banking is expected to ramp up. BI Intelligence is a subscription tech research service, providing analysis and reporting on the latest trends disrupting the payments industry. For full access to our library of downloadable charts, sign up for a free trial.